Just when I thought my Maybelline Master Chrome highlighter collection was complete, the brand announces their newest shade, Knockout, in collaboration with Puma. As you may know I’m a highlighter junkie and I love trying them all including low and high end highlighters. Maybelline and Wet n Wild have the best drugstore highlighters on the market. I thought I’d put together a post sharing swatches of all the previous shades in case anyone wanted to compare them. There are four Master Chrome highlighters that all give a warm metallic sheen and one Master Holographic Prismatic Highlighter that gives an iridescent glow. The powders contain pearl pigments that leave a reflective finish and leave your skin glowing. The texture is so creamy, soft and blendable. Molten Gold and Molten Rose Gold are the OG shades that everyone loves. The newer shades that were released last year are Molten Peach, Molten Topaz and Opal. Peach is a light medium peach with orange undertones and gold shift. Topaz is a medium to dark shade with warm brown undertones. Opal looks white in the pan but it has silver and lavender sparkles. It has more of a glitter metallic finish. You can apply it wet to avoid any glitter fall out. This shade is one of my favourites along with Gold and Rose Gold. If you haven’t tried any of these highlighters, I highly recommend them. They are so creamy and pigmented; the glow is unreal. 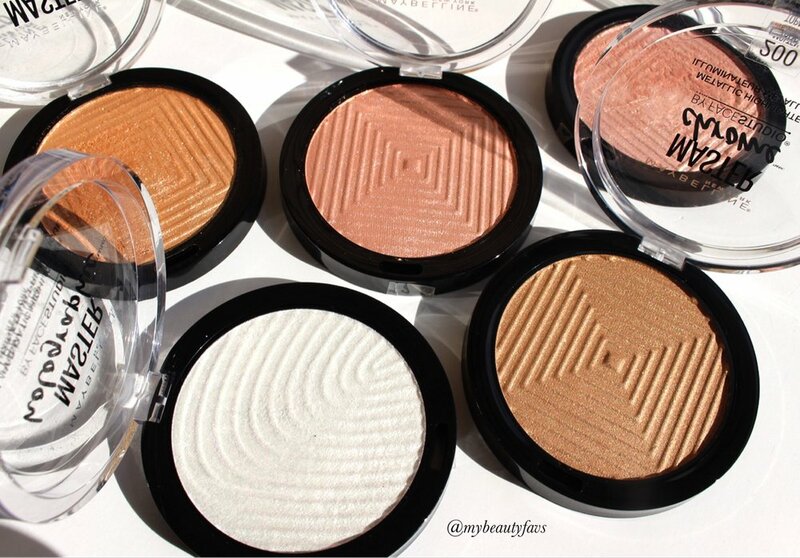 The highlighters retail for $14.99 CAD and $9.99 USD and is sold at most drugstores. Get paid to shop at Ebates.ca!